You could avoid using the second split ring by using a hook with an "in line" eye. 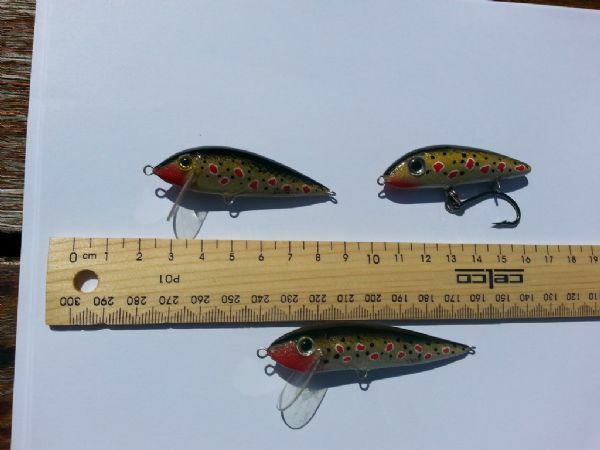 I'd recommend the Gamakatsu "Single Lure Hook" (size number one or two on a 60mm lure), and I believe it would be a better match than what you've got in the picture. 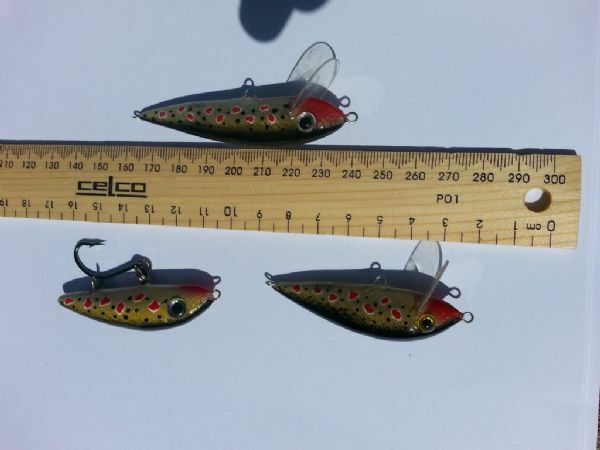 Gamakatsu produced the Single Lure Hook for exactly this reason, because in NZ they have to swap out the trebles for singles. p.j you probably get an additional benefit as well when casting into or side on to the wind. More casting distance. That idea might work well for me up here. Great idea, PJ. 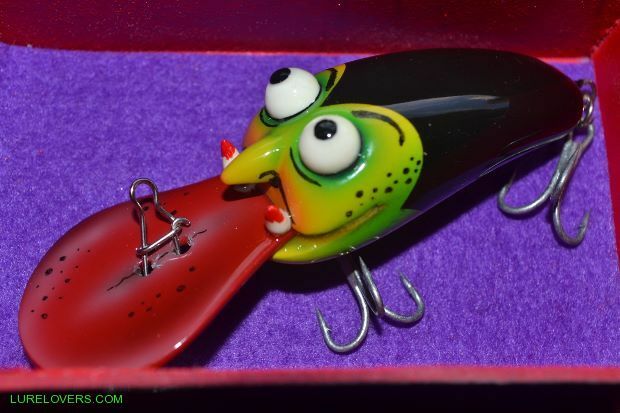 Does the clip, with the hook in it, tighten the action of the lure? 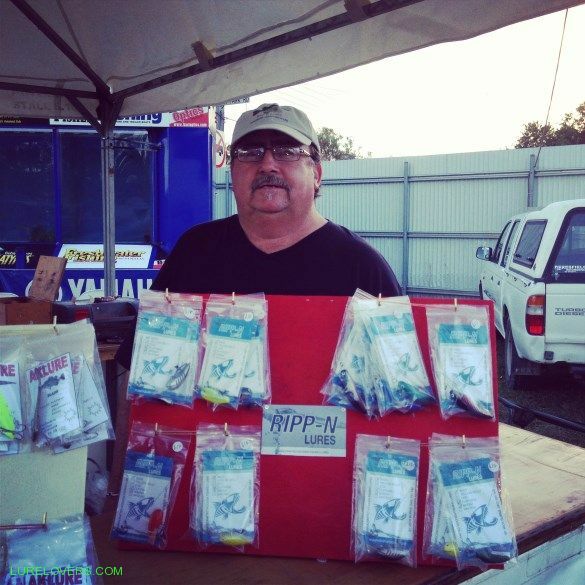 Nice idea pj....i use a lot of single lure hooks, i believe the hook up rate is as good or better at times......like JKR mentioned the gamakatsu single lure hooks are very good. your wire clip idea is great. AH!!! P.J, the old bra clip trick --- - Love your idea, I might load a few for the up coming trip to Tasmania - just need to find a 'Bra' . Probably been a while since youve unclipped a bra pete, sure you will be up to it!? Thanks all I have considered the in line single hook, and asked my local "dealer" to take some home. 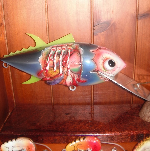 Can tell it don't affect the action on this Minnow model off mine. Have to try on other models to tell here. One thing that really toke me by surprise was : The Minnows I have upgraded went higher in the Water, with the hook attach. The one on the Pict. is a high model, built to go about 3-5cm. under the surface. Pulled the Hook out and it went back to normal depth. I actually had to bend the bib a bit fore ward to avoid it to be a "surface Lure"
The older I get the more I learn. Great idea like the single hooks. Thanks for sharing. John you were asking fore Pict. off Trouts caught with this sinkel Hook system. Had a quick session tonight. Caught a couple off good "dinner" Fish. As you can see on both Fish, the Hook really sits very well. Had one more i relleased and some bumps. Very clean hook ups - no doubt about that. I would love to taste that trout for dinner. I've done something similar, using screw eyes. Seems to work quite well. Received a special lure from Per to try down my way and also several friends. Needed some sunshine to show off his paint work have size 8 owner trebles to put on the rear. At this stage intend using lures to cast towards shore when I put the boat in.